My passion for running has led me to where I am today. Like most people I took up running to shed some weight and I entered a 5k race to give me an added incentive. The 5ks led to 10ks, half marathons, marathons, trail races, night races, duathlons and, ultimately, a complete career change! Over the years, training for events has seen me suffer from many niggles and injuries. This triggered an interest in how the body works, the cause of injuries and their prevention. I experienced the benefits of Sports Massage and such was my enthusiasm, I wanted to help others reach their goals. 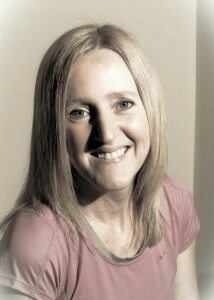 I signed up to train as a Sports Massage Therapist and upon qualifying founded Mandy Frost Sports Massage Therapy. From my personal experiences, I empathise with the frustration when your activity is brought to a halt. This is not limited to runners or indeed sports people – my clients have included golfers, cyclists, triathletes, dancers, weightlifters and people with strenuous or demanding jobs. I have also worked at large events treating all standards of athlete from fun runner to elite. When I’m not out running or massaging I like to spend my time with my family on camping breaks, walking, hiking and cycling in some of the lovely areas of the UK.